3G communication appeared in the 2000s and opened the possibility of using wireless high-speed data transmission. However, while all the countries of the world were actively deploying 3G networks on their territories, Ukraine delayed the implementation of this network standard until 2015, becoming the only country in Europe where there was no data transmission using the 3G standard. This is written by the online magazine UiP. 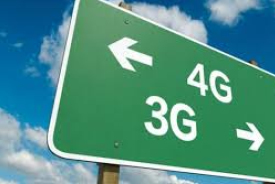 According to the executive director of the IT Association of Ukraine, Alexander Kubrakov, the long absence of the 3G standard did not allow Ukraine to improve its position in the ratings, and also hampered the development of e-commerce and digital technologies. In addition, due to the lack of 3G, smartphone users were satisfied with the low data transfer rate, which did not allow full use of gadgets. However, after the implementation of the 3G communication standard, there were some problems. So, with the advent of high-speed data transmission, the number of Internet-dependent, in particular gamblers, has increased. In this regard, the representatives of the site Casino.guru expressed their opinion that it was the appearance of high-speed Internet that influenced the behavior of users on the Internet. "Accessible Internet has led to a tenfold increase in the interest of users in gambling. If before the sphere of excitement was not so popular, then starting in 2015 the number of players is only growing," - the site's representatives said. According to the marketing director of Vodafone in Ukraine Andrey Otroshchenko, the effect of the appearance of the standard of the 3G network in Ukraine was not evident also because it was in 2015 that the country experienced an economic crisis. However, despite this, to date, it is thanks to the 3G communication standard in the country that the GDP index has grown. "Together with the introduction of 3G networks, Ukraine has received substantial investment for the development of information technology. Moreover, this has become the impetus for the development of logistics, e-commerce, and in the media sector, the share of digital channels has grown as an advertising tool, "Andrei Otroshchenko said. Ukrainian banks and financial services providers also benefited. Ericsson CEO Yaroslav Nitsak said that the emergence of the 3G network served as an impetus for the development of mobile banking and the successful launch of new online services. "In large cities of Ukraine, it was possible to order a taxi or track where the bus is using mobile applications, and in Lviv, Ukrainians were able to pay for public transport via a smartphone," Nitsak said. 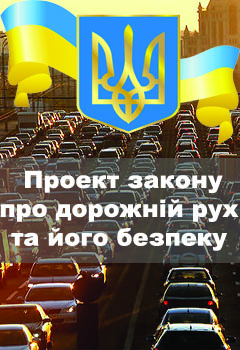 Plus, Ukraine intends to move with the times. Mobile operators of the country have already started talking about the nearest implementation of 4G, which is still known as LTE. In spite of the fact that all developed countries of the world use the 4G communication standard already in 2010, Ukraine once again is in the role of catch-up. The introduction of 4G is scheduled for July 2018.